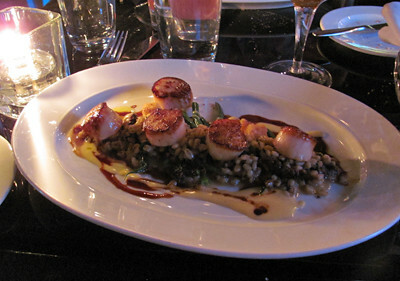 Birthday dinner at Corner Suite Bistro. 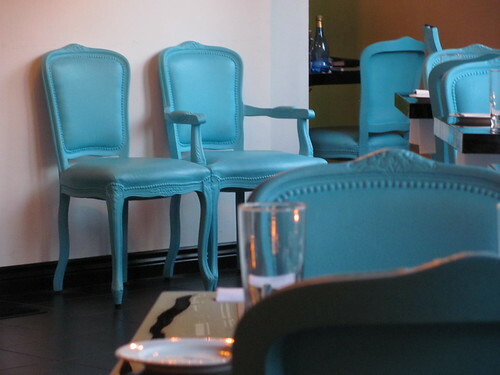 Home of my favourite blue chairs in Vancouver. 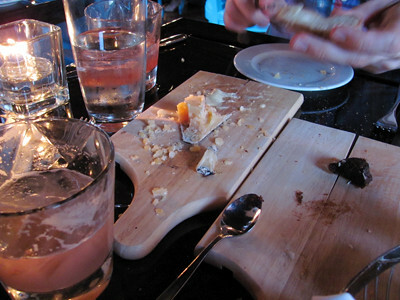 A cheese plate being demolished. 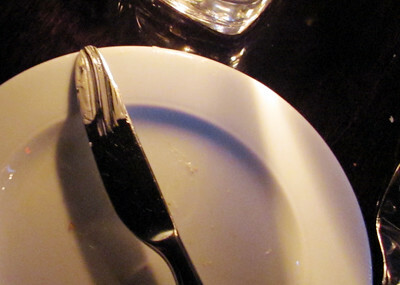 Dinner was so good, I discovered Jesus on my butter knife. I'm off to the Calgary Stampede today, so I've handed the reins over to Janos, who will turn this blog into Janos-Meals for the weekend.